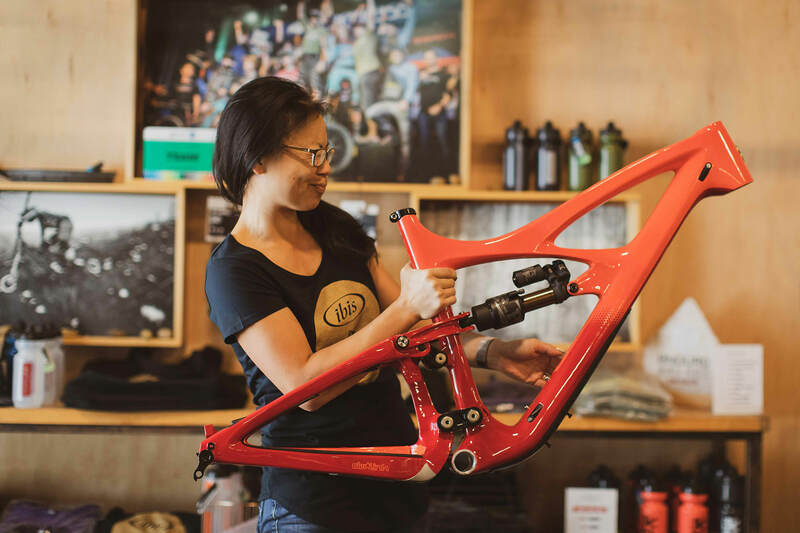 If not for the screens between us, it feels like the woman credited with reinvigorating Ibis Cycles could jump the distance from her Santa Cruz office to Squamish with a moment’s notice. She has what you might call, pep. 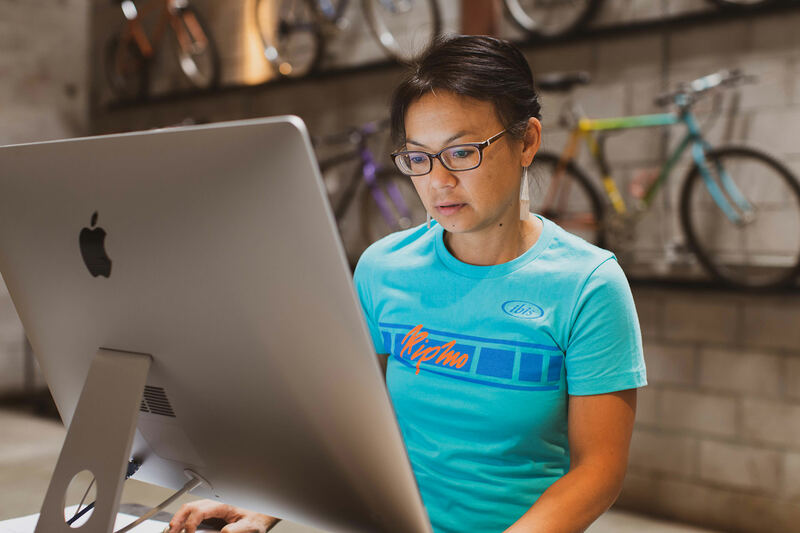 But instinctual problem solving is never too far off the radar for this industrial designer turned bike geek, which is why she’s still mulling over the failure of her watch to catch our call as we settle down for a Skype-shared coffee to chat design, inspiration, and finding a bike small enough to fit her 5ft 1” form. Designing, sketching and conferring with a colleague. Founded in 1981 by Scot Nicol, one of northern California’s earliest mountain bikers, Ibis developed a reputation for making innovative titanium road and mountain bikes. Sadly, the brand filed for bankruptcy in 2001, only 20 months after Scot had sold it to an investment group. In 2004, returning to the company he first started, Scot partnered with fellow industry lifers Tom Morgan and Hans Heim, who saw Ibis as the perfect vehicle for realising their dream of evolving the mountain bike. All they needed was a designer. On the computer, in Ibis’ Santa Cruz headquarters.